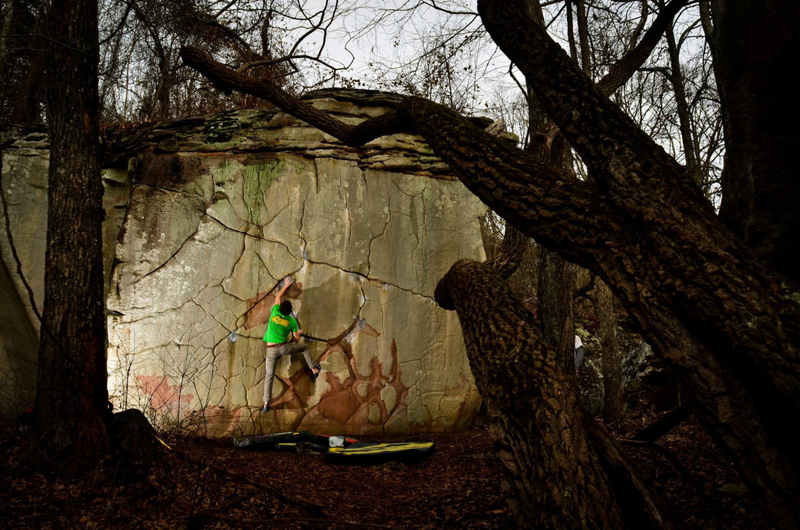 Looking for a little rock-climbing getaway? While there is certainly climbing in and around Atlanta, you don't have to travel all that far to get to some top-notch destinations. 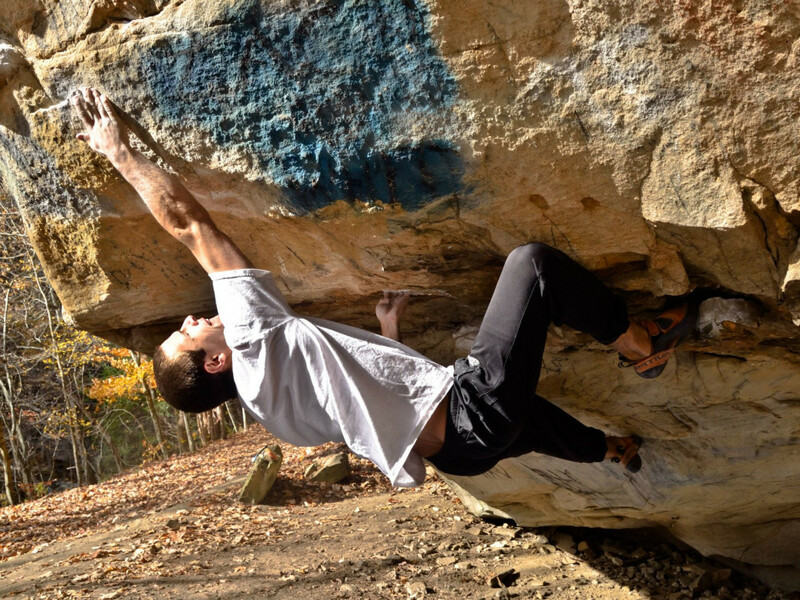 With bouldering season quickly approaching, find a free weekend (or several) and check out these bouldering destinations, all within roughly two hours of Atlanta. 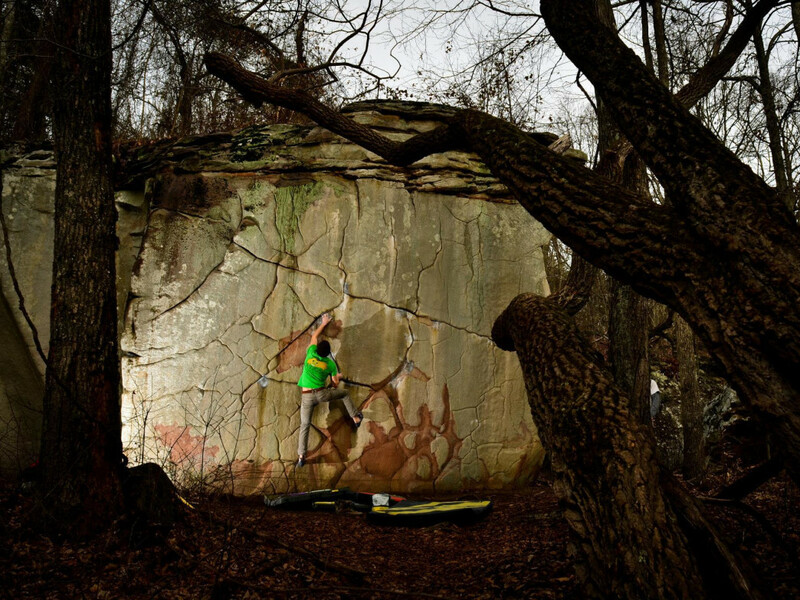 Located approximately two hours from Atlanta just outside of LaFayette, GA, Rocktown is a bouldering paradise for climbers of all skill levels. 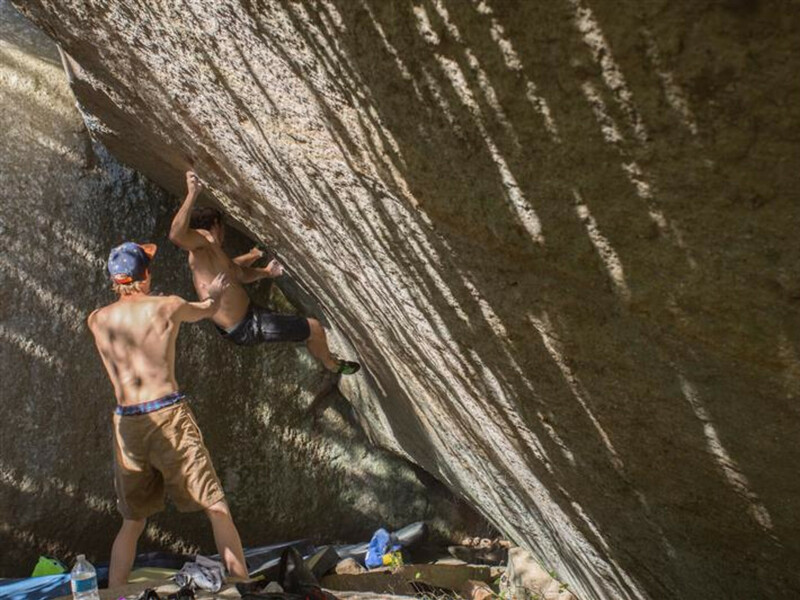 Made up of more than 500 pristine sandstone boulders on the Appalachian Plateau, this climbing destination is host to a variety of crimpers, slopers and jugs spread out over an enormous expanse of land. The boulders at Rocktown range from the classic Nose Candy (v6) to the legendary Golden Harvest (v10). For those looking to Rocktown for their first outdoor adventure, make sure to sign up for a Georgia Outdoor Recreation Pass (GORP) here. A three-day pass costs $3.50, an annual pass costs $19 and a group pass is $35 for one vehicle holding up to eight people. Although it’s normally uncrowded, word has spread of this location’s world-class bouldering so parking can be congested during the winter months. Rocktown also permits hunting during certain seasons, so be sure to check here for closure dates. Commonly known as Little Rock City, this clustered boulder field located 30 minutes outside of Chattanooga is home base for the most concentrated sandstone in the Southeast. Situated alongside a golf course, Stone Fort sports classics like Super Mario (v4) and the infamous The Shield (v12). For those looking to make Stone Fort their winter climbing destination, a guidebook detailing each problem is readily available and the approach is one of the shortest in the area. To climb here for the day, climbers must register at the golf club near their spacious parking lot before entering and pay the day fee of $3. 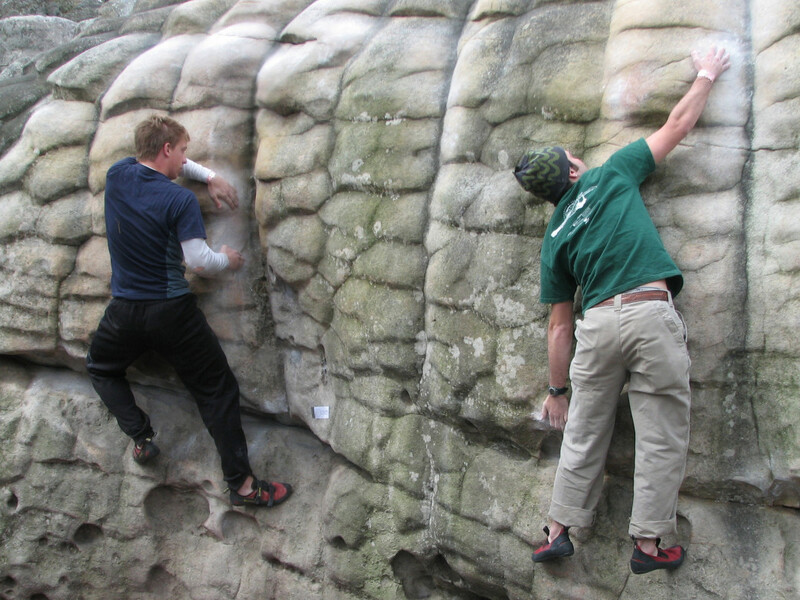 Just over two hours from Atlanta, Horse Pens 40 (HP40) is made up of distinctive sandstone boulders, perfect for climbers looking to improve their contact strength on slopers. 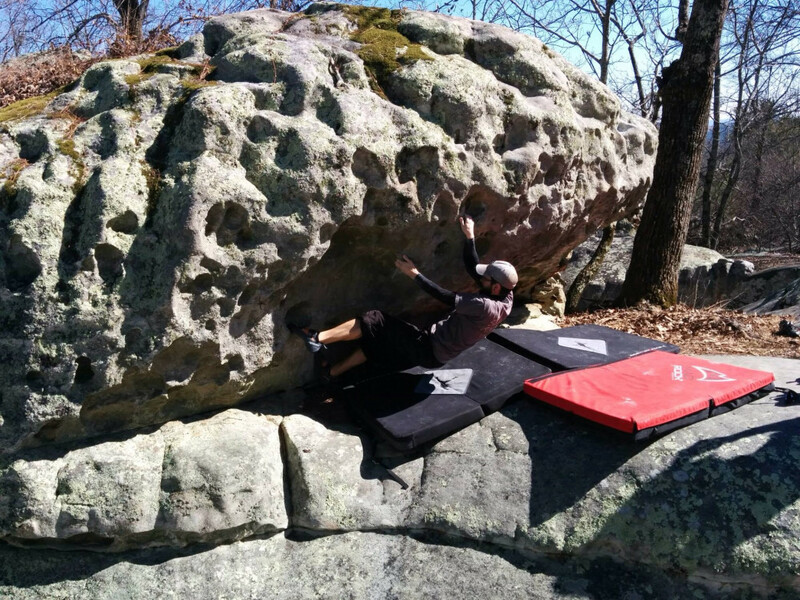 Irrefutably one of the best bouldering destinations in the world, HP40 is home to water-grooved boulders (similarly to that of Fontainebleau, France) on well-maintained land owned by the Shultz family. To climb here, climbers can park in one of the many spots near the front gate, which is seconds from the first-class bouldering field. All climbers must check in before climbing and purchase a day pass for $8. Camping is also allowed in the field for $15 and night climbing is a popular activity for climbers who frequent the area (don’t forget your headlamp). 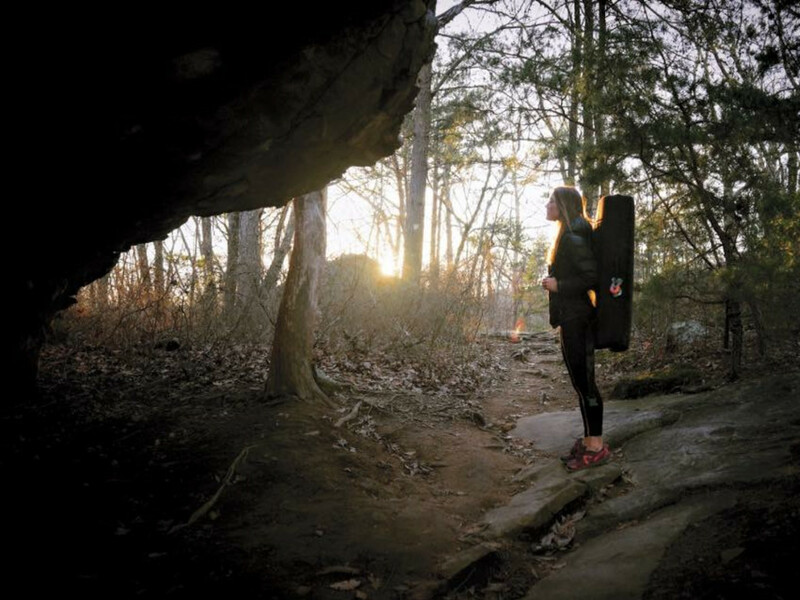 A sister location to Stone Fort and off the beaten path, this boulder field is a hidden gem just outside of Chattanooga in Soddy Daisy. A less-crowded experience with the same quality and style as Stone Fort, climbers can experience high-quality sandstone at its best with boulders, such as 711 Stand (v7) and Salo’s Roof (v9). Although this destination is home to fewer and more difficult boulders, climbers will find the quality is top-notch and the creek-side scenery is ideal. Don’t be deterred by the hospital next door, this spread-out boulder field is extraordinary in quality of boulders and difficulty. With around 200 boulder problems similar to that of HP40 (and many first-accent opportunities still available), this up-and-coming bouldering destination is quickly becoming recognized for its quality sandstone roofs and slopers. Although the crag is relatively new and less-developed, the vacant boulder field is enticing to the climber looking to explore and navigate the many overhanging roofs and monolithic boulders. Newly owned by the SCC, a majority of the field is still private property so be aware if you cross any trespassing signs.